It’s impossible to truly ignore that No Man’s Sky first released in August 2016, surrounded mostly by negativity. It’s almost two years later, and the game has finally released on Xbox One along with its NEXT update on all platforms, which adds multiplayer among a wide array of new gameplay mechanics. The criticism and feedback around the game have taken almost a 180-degree turn back in the right direction. 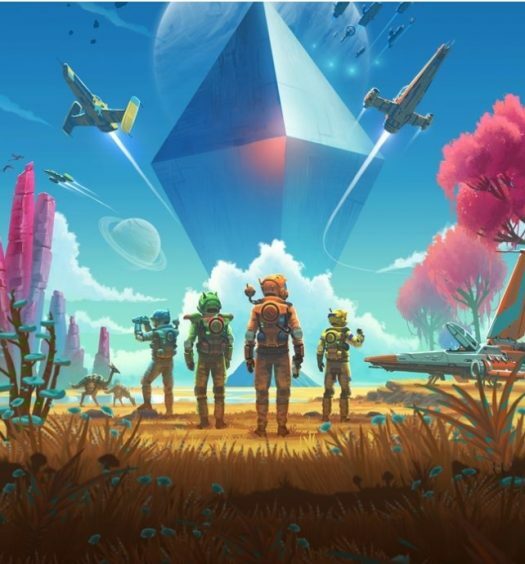 Developed by Hello Games, No Man’s Sky is an open world space exploration game that gives players the freedom to do what they want and go wherever they want. The very start of No Man’s Sky can be a bit rough and boring. Your tools overheat easily; your character is weak. The world you start on is the one you will remain on until you advance through a few tutorial-style missions and obtain the technology to leave the planet. Once you leave, you’re capable of visiting other planets or the nearby space station. The game still has you chained to this system until you are capable of obtaining a hyperdrive. Once this is obtained, the chains come off, and the player is free to travel to other systems. There are, however, still some systems you’re not capable of visiting until a more powerful upgrade to the drive is acquired. It may take some time to achieve this, but that doesn’t mean there isn’t plenty to explore before then. Endless galaxies and Unique Planets – With No Man’s Sky, the endless amount of galaxies means that you never run out of places to explore. Just by opening the galaxy map, you’ll notice a barrage of different colored balls, each representing a system. Each system offers at least one planet, but of course, more planets could come as well. There’s a possibility that a space station may or may not be present. Planets also have unique elements to bring to the table. Every planet you visit will offer some unique biome whether it be frozen, toxic or irradiated. Of the nine different biomes available (there are even more sub-biomes), there could also be potential weather hazards such as heated rainstorms or freezing blizzards. The worst planets are extreme planets, which have the potential of constant weather effects or hostile sentinel bots. On extreme planets, storms happen much more frequently and last much longer. Storms can clear for a brief few minutes but are quick to return. It can make survival pretty difficult. Various Story Arcs – As you progress through No Man’s Sky, you’re presented with various missions that are all completely optional. The earliest mission will be relative to an anomaly that appears in space. It’s a sphere-shaped station operated by a Gek lifeform named polo and his Korvax partner, a priest entity named Nada. Polo is the one players will go to for various missions tailored to the specific mission. However, Nada offers rewards for various milestones the player can complete, as well as starting the player on their way to finding Atlas, which pertains to yet another set of missions and another story arc. All of the different missions give strong references to the lore of the game, which further drags the player into the atmosphere the game creates. Other story arcs are present, pertaining to ancient ruins on various planets, and even gates that when powered, require glyphs for travel between worlds, similar to the gates from the popular tv series Stargate SG-1. There is a lot to experience and many mysteries to unravel. Attention to detail – It may take some time to notice, but the level of detail on certain planets is just stunning. Take a world with high windstorms and dirt for example. Upon landing on the planet, a base was set up with the required terminal. A Refiner was constructed, and a circular room was built with a door. 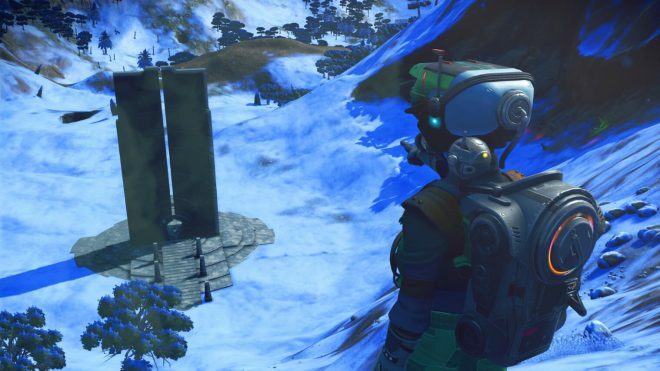 Upon revisiting the planet after some time had passed, it was interesting to see the refiner and the terminal buried, and the door to the circular room was blocked somewhat. The objects that were built were still on the same level that they were originally built on, only the windstorms had caused the dirt to bury everything. Leaving a planet and coming back later even sees certain resources growing back in an area. Visual Overload – It should come as no surprise that a game that takes place in space would be beautiful. Honestly, though, it’s not just space nor the planets that make the visual aspect so beautiful. It’s the bigger than that. Summoning a freighter while on the surface of a planet is quite literally jaw-dropping once you see the freighter in the sky just outside the planet’s atmosphere, idly waiting on your command. Some of the structures that Hello Games brings into the game completely blow your mind. Some of the later structures are breathtaking. 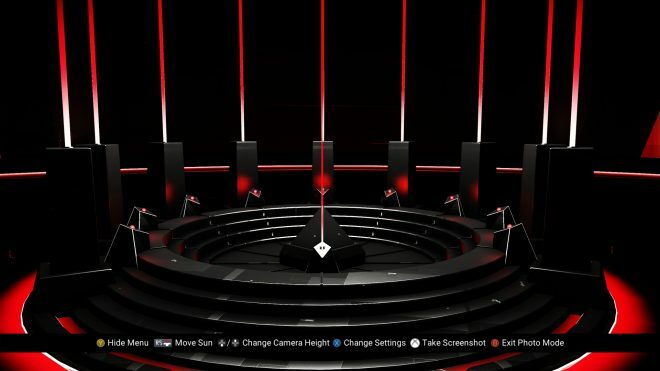 Atlas stations are one example. These black diamond-shaped structures out in space are mesmerizing. The moment you first lay eyes on one it’s fearful. The moment you enter the actual structure, the feeling goes from fearful to just straight uncomfortable. After exploring the structure and leaving, the whole experience will leave you wanting more. Black holes are another perfect example of visual glory. The moment you enter the system in which they’re located, you see the temporal distortion in front of you. Looking into it is guaranteed to put you into a trance. Flying through one is like watching the intro to the early 1980’s Doctor Who episodes starring Peter Davidson. It’s all phenomenal. Sentinels – When you first start playing the game, you’ll notice these little flying robots around the different planets. On some planets, they are peaceful, and will only attack if you’re harming the planet in any way, or if provoked. On extreme planets, they are on high alert and attack you on sight. At the beginning of your space adventure, when you have no idea of their presence or what sets them off, they can be annoying. Your character isn’t strong enough to take them on constantly. Once you get weapon upgrades for your multi-tool as well as upgrade components for your suit to improve health and shields, taking on a sentinel is much more possible. Sentinels have five alert levels. The first level is one little robot with a tiny laser. As the alert level rises, more advanced enemies start arriving such as robotic dogs and even a walker oddly similar to an AT-ST walker from Star Wars. The problem with these robots is that even if you try and escape to space, you are met with sentinel ships that will almost always annihilate you unless you’re flying a fighter class starship or you land on a space station. They’re more of a bother than an actual threat. 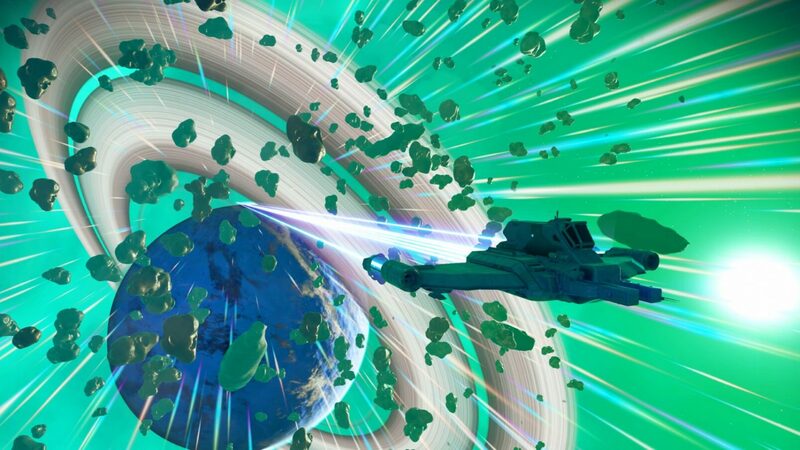 Bugs Galore – No Man’s Sky, to put it lightly, is a bloody buggy mess. But that’s an understatement. It’s not really noticeable at first. The bugs start becoming more frequently the further into the game you get and the more you do. It doesn’t seem that anywhere is safe from the various bugs. Upon trying to exit the ship, the character was teleported onto a random area of the surface. The great thing about any of the bugs in the game is that there is always a workaround to what is happening, but you really need to ask yourself how patient you could be dealing with the bugs. Missing Controls/No Remap – Imagine playing a game for two hours only to eventually learn you’ve been walking around the whole time. Sprint can be activated by clicking in the right stick (as opposed to the left stick of most other games). The controls menu does not state this as a function so the only way anyone would be able to figure it out would be by just trying it or by complete accident. This is only one example of the many functions you may need to use in No Man’s Sky that is not labeled for some reason. Even worse, there’s no way to remap the controls to better suit your playstyle, so you’ll ultimately be forced to play using the default controls. Having to use the right stick will click eventually, but it would have been nice to be able to customize things more. No Man’s Sky is a fantastic game regarding size. The amount of different galaxies and planets available for players to explore is overwhelming in a good way. The consistent travel between space, a planet’s surface and back again is smooth and consistent. There is a lot of positive aspects to the game that makes it feel unique, though there are a lot of rough spots that can also use some work. The multiplayer makes space exploration a little less lonely. The various missions you’re presented with and the lore the game has to offer help the world around you come to life. The various bugs become more consistent the further along you go, and most are noticeable during a mission or story arc. 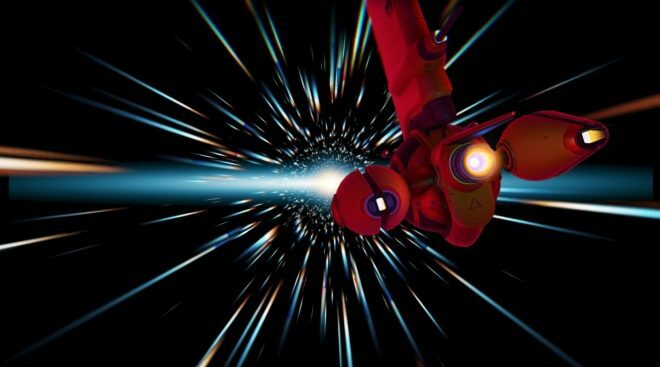 No Man’s Sky’s most interesting aspect is how the game that seemingly failed in gamers eyes almost two years ago, has risen from the ashes and has been reborn as something spectacular. No Man’s Sky was developed and published by Hello Games. The game released on July 24th, 2018, for $49.99. A copy was provided for review purposes.